As we walked through the valley leading into Parion, a crowd began to surge out of the fields, smiling, waving and telling Rahman Baig how happy they were to see him. Men, women and children — all shared their joy. 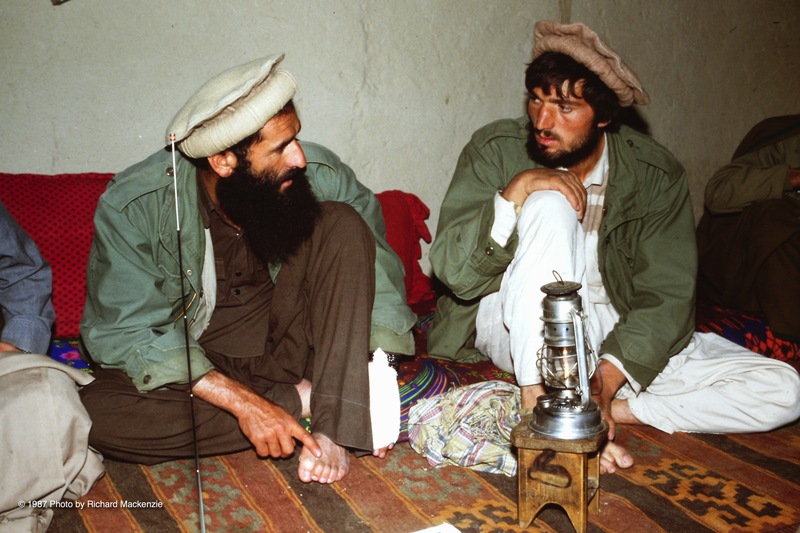 When we reached the heart of the village, I was first introduced to the Commander of the area, Najmuddin. Married with several children, he lived on the side of a mountain overlooking the valley. Like everyone else, he was kind and hospitable. There was a small room at the front of his house where visitors congregated. 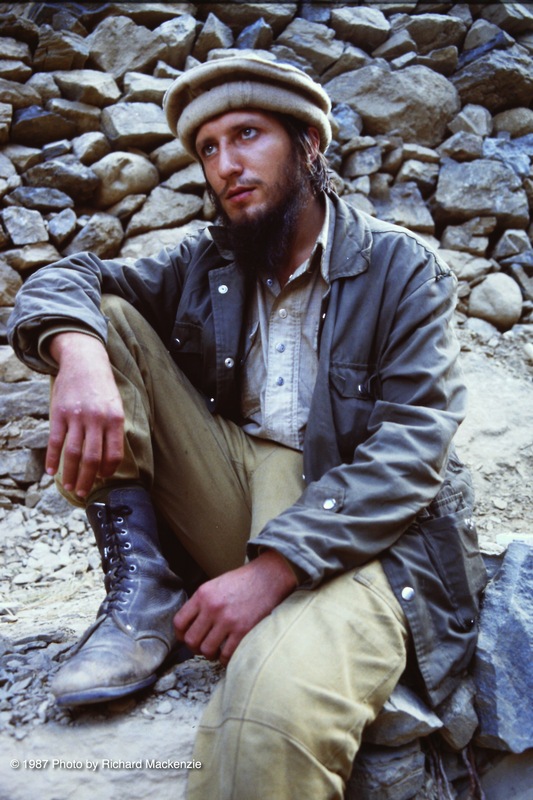 Here, I was told to settle as we waited to make the trip north to join Ahmad Shah Massoud and his troops. I was happy to stretch out and sleep for a while, woken over the days — mainly for meals, delicious food happily brought to me by Commander Najmuddin’s younger sons. I was truly comfortable for the first time since I had left Pakistan. I was actually able to open all my bags and check my possessions, clean my cameras and crank up my digital shortwave radio. Knowing before I left that I had considerable distances to travel, I had packed light. Probably too light. But I did have a paperback book or two and a map of Afghanistan. As I praise Commander Najmuddin and his people, don’t worry, I had not forgotten that kind man who found room for me at the inn when my first horseman and guide were conspiring against me back in Nuristan. That chap gave me a bedroom in his family home. And his village came to my rescue. But, here in Parion, I knew that if I had taken an odd mental turn and decided to just settle down and live there forever, I would have been welcome. I had reached a pantheon of great virtue. Thanks to Rahman Baig, I had made it to my destination, was alive and was now a member of the Parion family. And no one but no one could ever take that away from me. Of the things I carried, the most precious item turned out to be a last-minute purchase — my Sony digital radio. Here, it was our only link for news from the outside world. There were then no local telephones and no television. Cell phones and the internet had not yet even been invented. My digital radio connected us to the shortwave band so we could hear the BBC in English or the BBC and Voice of America in Dari. Occasionally, we also would tune in to the Afghan national radio broadcast from Kabul. 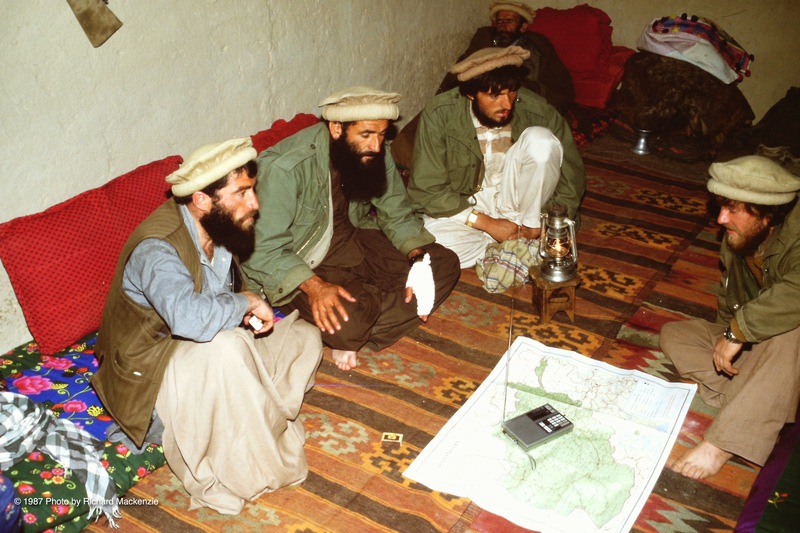 It was, of course, controlled by the Afghan Communist government but, the mujahideen explained, it kept them up to date on what was happening in the capital. One of the young men who came by to share my radio and talk with Commander Najmuddin was Mohammad Karim. I remember his job as the operator of one of Massoud’s few Stingers, the powerful anti-aircraft missiles that the United States started giving to the mujahideen a couple of years earlier. Karim was the son of an Afghan judge who had fled from Kabul to Pakistan. Karim was himself engaged to be married to a young woman whose family also fled to Pakistan. But he did not expect to be married any time soon. There was also Mohammad Saber Siffi, a 26-year-old graduate in physics from the University of Kabul. He now worked with Massoud’s intelligence team. But the most surprising person I met among the mujahideen in the little room of the house overlooking Parion was a young freckled chap who spoke some French and a smattering of Dari. It was several days before I discovered his real identity, although I never did get his real name. 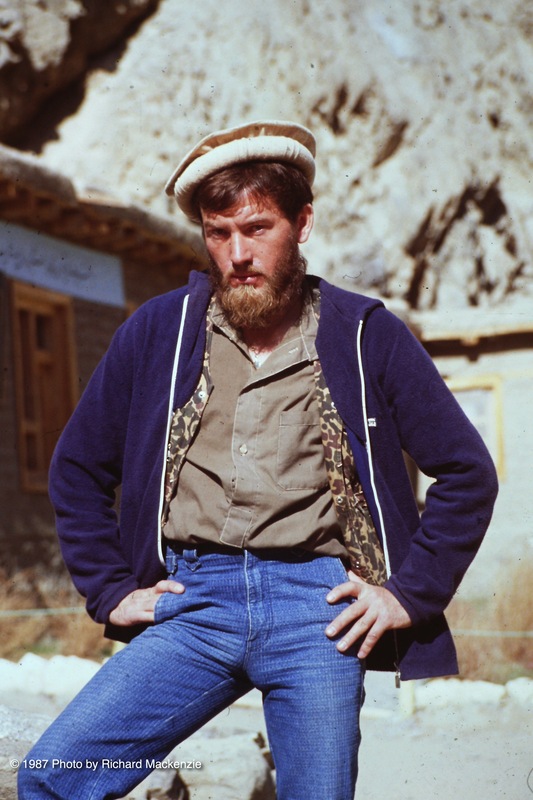 He was a prisoner-of-war, a Soviet Army soldier who had been captured by the mujahideen. 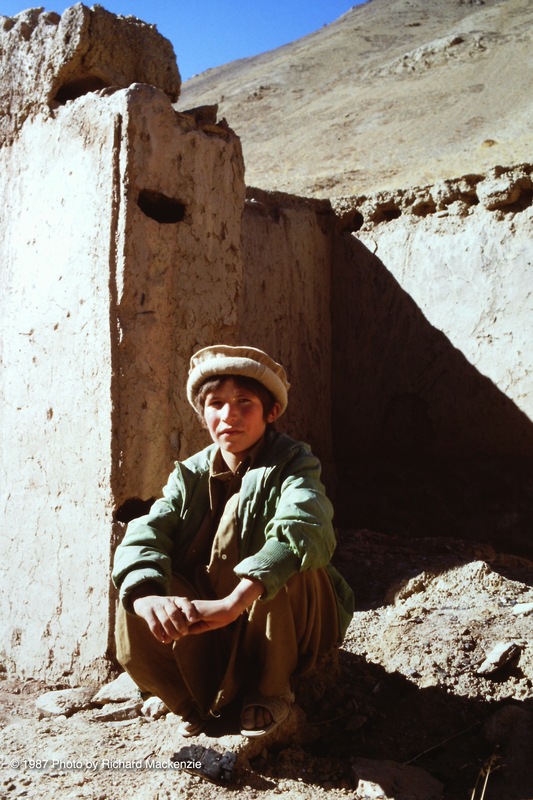 I would run into a second prisoner during my time in the Panjshir Valley. He also was dressed and had a beard like the mujahideen. It was early proof for me that Ahmad Shah Massoud and his men distinguished themselves among all the mujahideen by their standards. I would later see, time and again, that they treated prisoners with dignity. I saw it first here with the well dressed and well-treated Soviet prisoners. I saw it again a couple of years later when they captured Sayad Jamal and his gang after the assassination of Dr. Husain and Massoud’s other key commanders. Massoud would speak of this — and the difficulties involved in maintaining such standards — when we spoke two years later after Dr. Hussain’s murder in 1989. 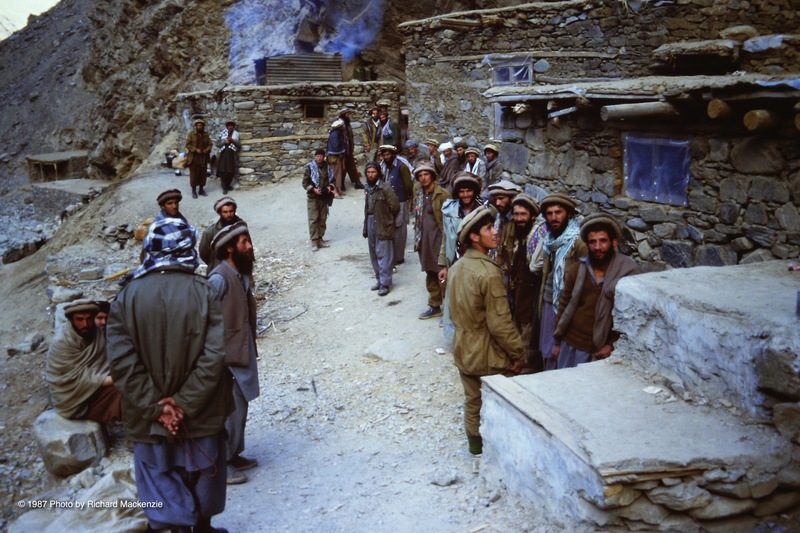 For now, though, in 1987, I’d be getting ready to walk away from Parion and the Panjshir with scores of mujahideen, sad to part with such a beautiful village and such wonderful people. But I would keep moving forward, eager to meet Massoud for the first time and witness a pinnacle moment in his Jihad against the Soviet Union. salutations and too many greetings. Your writing about the great experience you have had from Afghanistan is really amazing and you explain it in a way that carry every reader’s mind to that time. I as a son of a great Mujaheed and freedom fighter (Dr.S.Husain Shahid) and part of Jihad Family really proud to all our fathers did. Those soviet prisoners still live and Afghanistan and made big families here. they are really happy they became prisoners to Mujahideen. they are having a pleasant and satisfactory life here. Mr. Mackenzie, I and many of my colleagues and friends read your real stories on Afghan Journeys and they like it too much. I hope you great wishes and success into your life. Please keep writing and post more photos of your visits. I am really waiting to read your story about your first visit with Amer Sahib and my father. I can’t express my feeling of reading these stories. Thank you very much for your kind words and for the update on some of those happenings in Afghanistan. The nation, that region and her magnificent people will always have a very special place in my heart and soul. And I do look forward to the day when I can return again. God Bless you all. Excellent photos and incredible stories that practically place you in that world for a few moments. I’m curious, is there more on the Soviet POWS pictured? That facet of not only this war but all war is intriguing. I can’t help but think of how terrifying the uncertainty of it all must have been. Cheers.